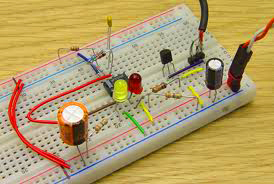 This circuit can indicate the ON / OFF status of AC Loads. Two high bright LEDs indicate the power ON and power OFF status of the load connected to the AC outlet. It is highly useful to avoid the wastage of electricity if devices like heater, electric iron, Soldering iron etc are switched on unnecessarily for long time.